This is not a misprint! 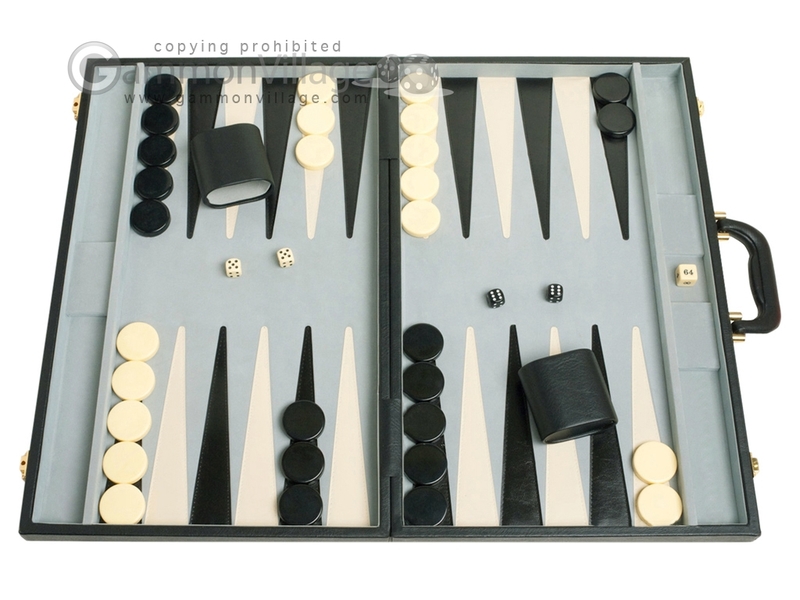 Yes, a full size 21-inch tournament backgammon set for less than $99. How great is that? You will not find a better deal on a backgammon set anywhere else, guaranteed. This beautiful 21-inch backgammon set is an official tournament backgammon board, featuring a large playing surface, over-sized checkers, and a sturdy handle making it a delight to carry around. This backgammon set is the perfect gift for any backgammon player - in backgammon, bigger is better! Closed Length: 21" Width: 13" Height: 2 1/4"
Open Length: 21" Width: 26" Height: 1 1/8"
Page P4666 Copyright © 1999-2019 GammonVillage Inc., USA. All rights reserved.